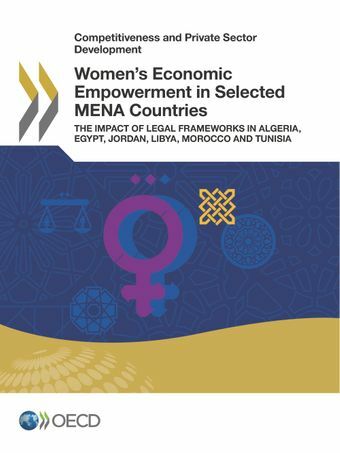 The Women's Economic Empowerment in Selected MENA Countries - The Impact of Legal Frameworks in Algeria, Egypt, Jordan, Libya, Morocco and Tunisia publication was launched on 7 October 2017 at the new MENA-OECD Competitiveness Programme regional Women’s Economic Empowerment Forum (WEEF) under the aegis of co-chairs H.E. Sahar Nasr, Minister of Investment and International Co-operation of Egypt and H.E. Marie-Claire Swärd Capra, Ambassador of Sweden to Algeria. Monitor countries’ policy actions and regulatory developments, to advance equality, non-discrimination and women’s economic and social inclusion. Advance gender mainstreaming in critical policy areas such as investment, trade, employment, skills, entrepreneurship or support to conflict affected economies. Identify strategic data collection needs to assess women's economic empowerment and provide support for strategic gender data development and collection.